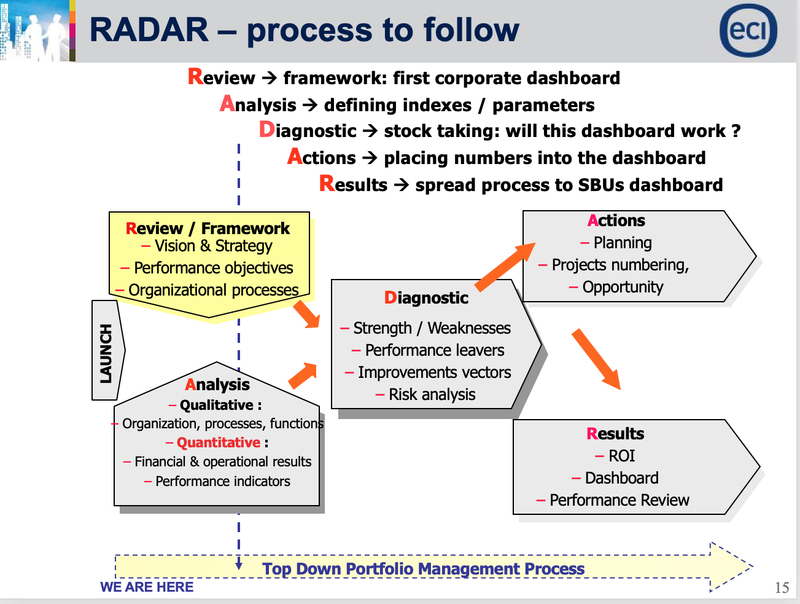 what is a R A D A R | makwa ltd. what is a R A D A R – makwa ltd. When you need to monitor a large corporation you also need to identify the right parameters and then make sure you are gathering the information bottom up. 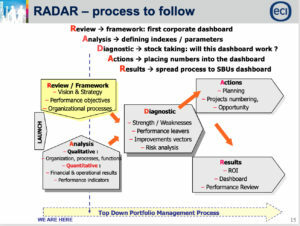 In a nutshell you need: 1) a process: to define the key performance measurements and design 2) a dashboard of the key indicators that will point and align the business to its goals. Not forgetting that all this must be aligned into the guidelines and the corporate strategy of each SBU.